Although Bee is quite awesome with her karate moves, she is also a bit of a girly girl and loves dresses and all things pink. 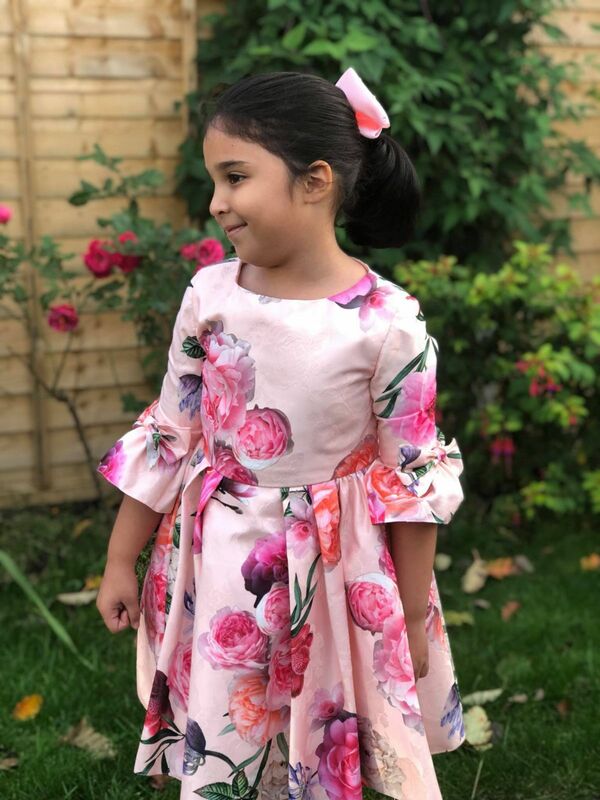 So when she was offered the chance to try out one of David Charles Childrenswear dresses from their Autumn/Winter 2018 collection, we had to pick a dress which had pink in it! 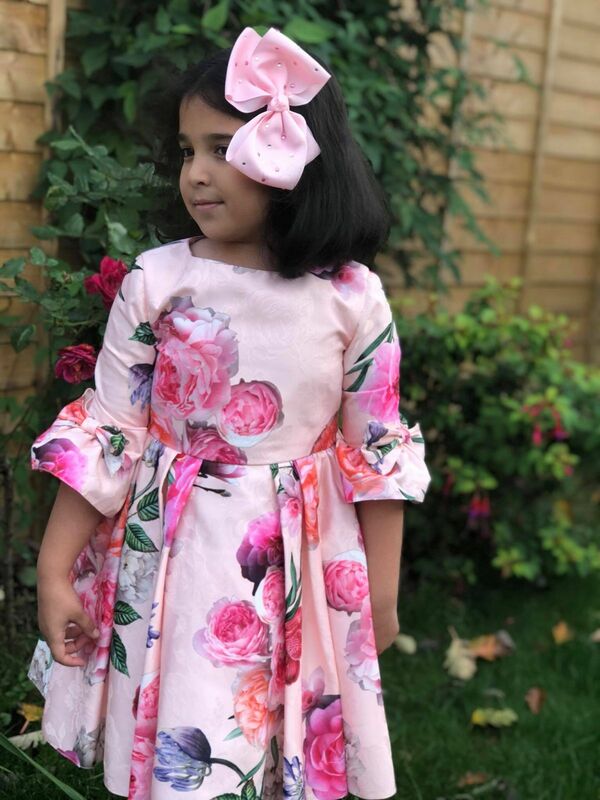 Flowers and pink were the perfect combination for Bee….although we pretty much loved all the dresses! Initially I was concerned that the flowers might be a bit on the big size but they were perfect, eye catching and clearly made a statement! 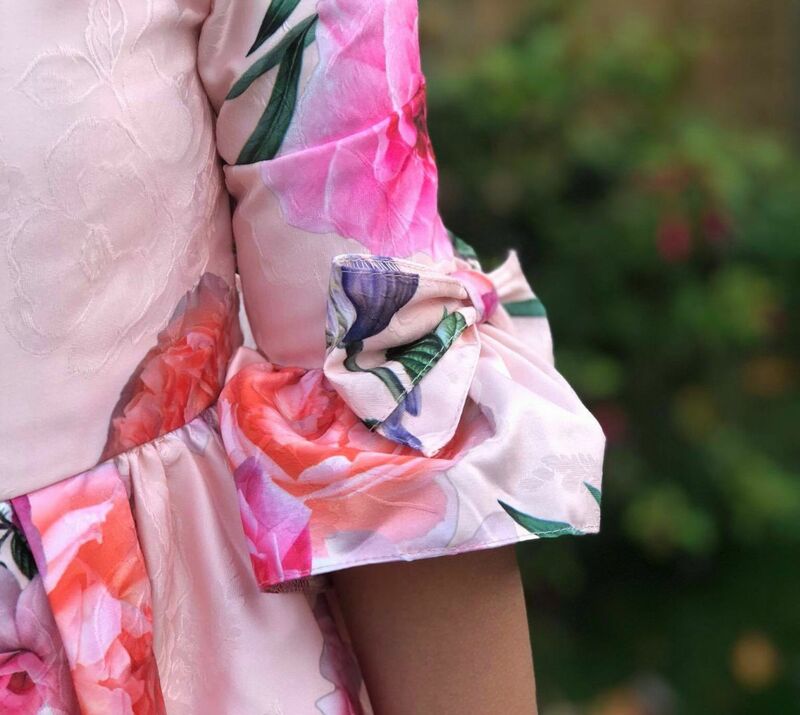 My favourite part of the dress were the bows on the fluted sleeves. The bows gave the dress a more elegant and stylish feel. However Bee did initially say it felt a bit tight on her arms where the bows were, but she is pretty used to having very loose items of clothing and soon got used to the sleeves. In addition to the bows on the sleeves, the dress also has a concealed zip and an oval waist tie. The dress also includes pleats and an attached net skirt under the dress helps complete the look, keeping the pleats looking tidy and giving the dress a fuller look. Bee just turned 6 in September but as she is slightly bigger built I felt that the size for 7 year olds would be better suited. It fitted her perfectly although I think even size 8 would have been ok for her. If you are unsure which size to go for then there is a helpful sizing guide on the site to help you decide which size to go for. Admittedly, priced at £229 this is not a dress I would have considered buying and is out of our normal budget. However the quality is outstanding and it is definitely fit for a princess! 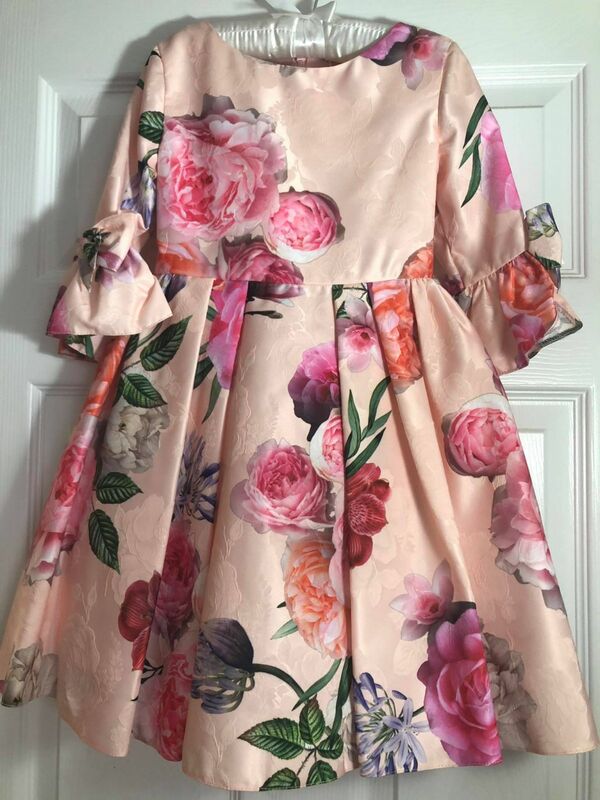 If you are after a bargain then David Charles Childrenswear also have a special offers page where some of the designer dresses are substantially discounted. It is recommended that the dress is cool hand washed or dry cleaned so not one of those dresses I would want Bee to wear for every day things. However her dad’s friend was getting married so we had the perfect excuse to wear it; it was ideal to wear to a wedding! I may be biased but she looked beautiful in it and her dad’s friend made sure she was in the wedding video. The dress certainly suited her and she received lots of compliments! 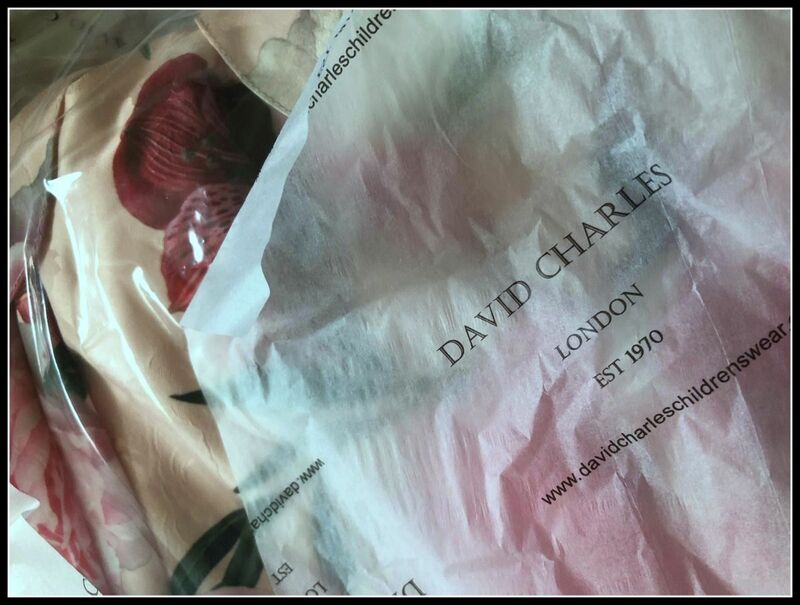 David Charles Childrenswear have kindly offered one of my readers a choice of dress from their Autumn/Winter 2018 collection. Open worldwide and entry is via the gleam form below. Please ensure you read the terms and conditions included. So hard to choose out of so many pretty dresses but I do love the IVORY AND GOLD LAYERED GOWN! 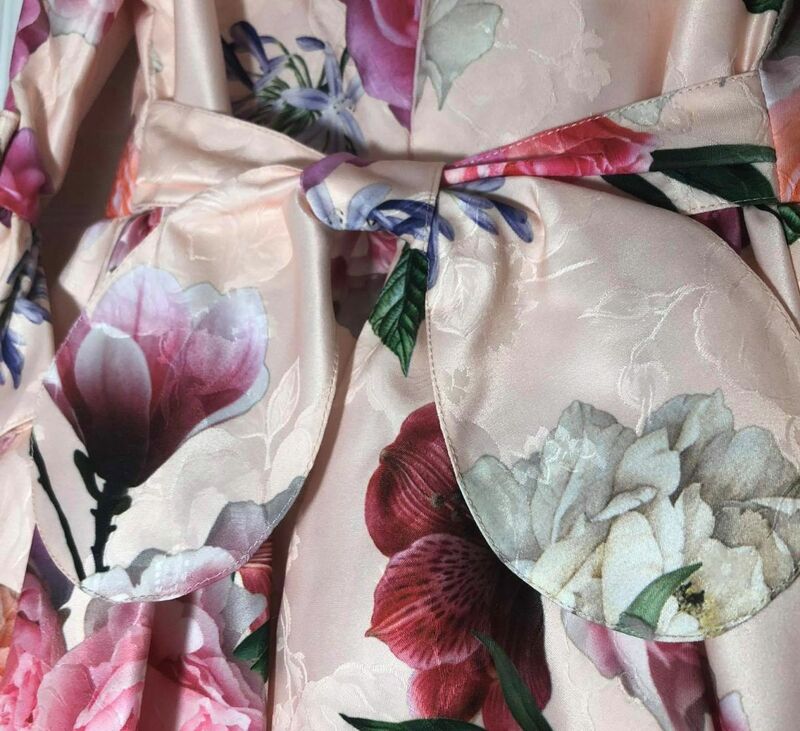 IVORY AUTUMN FLORAL TEA DRESS – Stunning! Oh my goodness, they are all so beautiful! I think I’d choose the Red Waterfall Party Gown. The dresses are gorgeous! I would love to win the BLACK FORMAL FASHION DRESS for my daughter. Kim Carberry recently posted…A very generous Tooth Fairy…. My goodness. There are so many beautiful choices for my two princesses. But I think my youngest daughter would absolutely love the Cream and Red Rose Fairy Tale dress. She would certainly feel like she was in her very own fairy tale. I also noticed there are gorgeous, matching headbands. Definitely a site to be bookmarked.